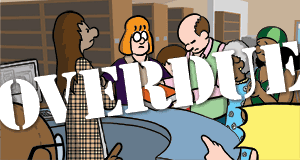 Last and final notice! 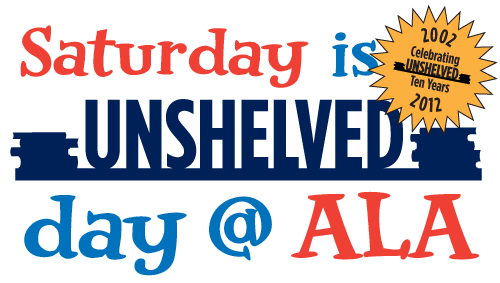 Saturday, June 23rd, 2012 is Unshelved Day @ ALA. On that day, wear your Unshelved gear. We are going to overwhelm the show (and the parties) with sheer awesomeness. Plus if you wear your gear to our booth 678 on Saturday we'll give you a very special not-available-for-purchase Unshelved button, a keepsake you will treasure for the rest of your life and beyond, while supplies last. Please pass the word to everyone you know in the entire world.